Arrival at Dimapur Airport. Reception and drive 75 km, 2-3 hrs. to Kohima, o/n Hotel. 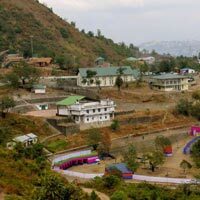 Kohima : After breakfast, sightseeing of Bara Basti, The Kohima War Cemetary, etc, o/n Hotel. After breakfast, day free at your own leisure, o/n Hotel. Kohima / Dimapur: After breakfast drive-78 km, 2-3 hrs. to Dimapur. Afternoon, visit Ruins of Kachari Kingdom and Dimapur Market, o/n Hotel. After breakfast, transfer to airport / railway station for onward destination.